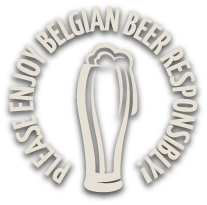 Our blog is dedicated to every possible aspect of the richly varied world of Belgian beer and brewing. Even if you are a regular visitor you will discover something new every single time you browse the site. Basically we are an ever expanding online magazine and all our blog articles are retained in our archive. If you missed out on a particular story you will always be able to find it again by clicking ‘blog’ and then ‘older’, or use the blog archive navigation on the right hand side of this page. The site is responsive, so we are mobile friendly and any page can be read on any device. But what inspires us to find and write all these stories? There are those topics that are tied inseparably to the world of beer. For example, you’ll find articles on basic ingredients like yeast, malt and hops. And to get our facts right we consult the top experts from Belgium, who have ties to universities and brewing colleges around the world. Some of these specialists go beyond conducting academic research: they produce their own test brews or, on a modest scale, bring beers that had vanished back to life. We also invite these authorities to share their vision on trends in the beer world and how Belgian brewers are responding to them. We will examine our traditional beer styles: oude geuze, Vlaams roodbruin or gruitbier, as well as the historic abbey and Trappist beers. Interviews with brewery owners and head brewers are featured regularly. These insiders give you a glimpse into the brewing kettle with added inside knowledge. Such a story may be prompted by the launch of a new beer, the opening of a new brew hall or a brewery expansion. We will also shine our light on important events such as beer festivals, tours or contests and, of course, on our characteristic café culture. And we’ll feature all these funny stories that explain the origins of quirky beer names. There are always drops of news, whether small or large, to be supped from the beer barrel. Beer is always the starting point for this blog. But we also like to take a peek over the brewery wall to the rich worlds of Belgian cheeses and chocolate, both of which happen to be taste even better with a good glass of beer. We introduce you to Belgian food, often paired or cooked with beer and regional products such as ham from the Ardennes, freshly harvested hop shoots and paté made with hops from the Westhoek region. We also like to establish links that are perhaps less evident: meat and beer for example. Or we will compile an entire gastronomic menu for you, recommending a beer with every course, something we like to call beerstronomy®. Every now and again we’ll hazard a step into a different world, but one that is close to that of beer: whisky and other spirits; some brewers happen to be distillers as well. If you think of breweries and beer, tourism springs to mind. Many cycle trails and hiking paths are named after beers or breweries. We will cover important events like the carnaval festivities held all around the country and put our spotlight on local folklore like the Ducasse in Mons of Ath. After all, wherever there is a feast, the beer will flow. Finally, we will place beers in the context of their city or region of origin. Orval, for example, cannot be understood without understanding the Gaume region in the southernmost corner of Belgium. This blog continues to grow, just like the rest of our website. Pop in from time to time to discover yet another aspect of the rich beer culture to be found throughout Belgium.